When you see advertisements for arginine, you will probably see great graphics around a story telling you that taking a hefty dose of water-soluble arginine every day, 20 grams or more, will stimulate the production of growth hormone and help you bulk out when you work out. Arginine supplements actually are useful for serious bodybuilders, but not in the dosages that make supplement sellers happy. Arginine is what most chemists term a "conditionally essential" amino acid. This means that the body usually makes the arginine it needs from different amino acids, and it is not absolutely necessary, usually, to get arginine from food. Infants do not make arginine, and sometimes the elderly do not make this amino acid. Arginine from food and supplements may also help for broken bones and torn tendons. For bulking up muscles, however, supplemental arginine has real but limited value. 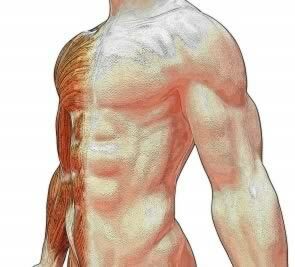 Muscles that get the "essential" amino acids ( isoleucine, leucine, lysine, methionine, phenylalanine, threonine, tryptophan, and valine) in adequate amounts don't bulk out any more when athletes take arginine supplements in doses of 15 grams a day. Taking a small amount of arginine, just 1,000 mg a day, along with another amino acid, ornithine, also in a dosage of 1,000 mg a day, can significantly enhance muscle growth in ways that high-dose arginine cannot. How can that be? Exercise physiologists believe that a small dose of arginine along with the amino acid ornithine encourages muscle growth by relaxing the blood vessels that deliver oxygen, water, glucose, and amino acids to muscle. The arginine is not directly incorporated into muscle. Instead, it seems to be taken up by cells in the linings of blood vessels and used to make an enzyme that helps them release a compound called nitric oxide, or NO. (NO2, nitrogen dioxide, is another compound altogether.) The nitric oxide relaxes the arteries and increases blood flow. If you were to take just arginine, you would need considerably more than 1,000 mg a day to have this effect. Dr. Joseph Ignarro, who was awarded a Nobel Prize for figuring out how the blood vessels make NO to manage blood pressure, believes that taking at least 9,000 mg a day is necessary for this effect. Taking the arginine with ornithine, however, seems to make the smaller amount of arginine more available to the blood vessels. The kidneys can convert arginine to ornithine. If ornithine is provided from a supplement, however, they are more likely not to convert arginine to ornithine, leaving more arginine in circulation. Or at least that's the theory. If you are adding arginine to your stack, you are probably more concerned about results. What Kind of Arginine and Ornithine Should I Use in My Stack? There is no serious advantage of arginine pyroglutamate, arginine alpha-ketoglutarate, or arginine ethyl ester over the simpler, cheaper form of arginine known as arginine hydrochloride or arginine HCl for this application. The advantage of the other forms of arginine is that they are maybe 10% better absorbed than arginine HCl. That makes a difference if you are taking 20 or 30 grams a day, but not a lot of difference if you taking just a single 1,000 mg pill. If you are concerned about getting enough arginine, take two pills instead of one. Arginine pyroglutamate was used in studies of arginine and lysine supplementation's effects on human growth hormone production, but you get considerably greater increase in human growth hormone production just by changing the timing of your meals. Arginine alpha-ketoglutarate and arginine ehtyl ester are better absorbed, but, again, the tiny difference in absorption isn't going to make a big difference in effect. You certainly can benefit if you take these forms of arginine in the 1,000 mg a day dose. They just are not necessary. Many manufacturers offer arginine combined with ornithine in 1,000 mg doses. Just take two tablets a day. Q. What about high-dose ornithine alpha-ketoglutarate for muscle building? A. It's very helpful for burn victims and people who have been injured in accidents. But there is no evidence that it helps healthy people build muscle faster. 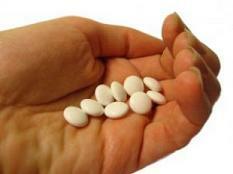 Moreover, the dosages used to help burn victims, up to 25,000 mg a day, usually cause stomach upset and diarrhea. Elam, R. P., Hardin, D. H., Sutton, R. A. & Hagen, L. (1989) Effects of arginine and ornithine on strength, lean body mass and urinary hydroxyproline in adult males. J. Sports Med. Phys. Fitness 29:52-56. Tipton, K. D., Rasmussen, B. B., Miller, S. L., Wolf, S. E., Owens-Stovall, , Petrini, B. E. & Wolfe, R. R. (2001) Timing of amino acid-carbohydrate ingestion alters anabolic response of muscle to resistance exercise. Am. J. Physiol. 281:E197-E206. Volpi, E., Kobayashi, H., Sheffield-Moore, M., Mittendorfer, B. & Wolfe, R.R. (2003) Essential amino acids stimulate muscle protein anabolism in healthy older adults regardless of the presence of non-essential amino acids. Am. J. Clin. Nutr. 78:250-258.